The New Year; It’s a Fresh Start. It’s a new calendar and a perfect opportunity to embrace a healthier lifestyle. Fifty percent of all Americans are pre-diabetic or diabetic. One in three Americans has high blood pressure. Sitting for extended periods of time every day can increase the risk for heart disease, diabetes and premature death. But simply knowing these statistics can motivate one to action. Make small changes to add up to lifestyle changes. according to a recent study, getting up and engaging in light intensity activity for two minutes an hour can have a powerful impact upon one’s health, reversing negative impacts from sitting. In fact, it can lower the risk of premature death by a whopping 33 percent. Before you put something in your mouth, consider the calories. not only can counting your calories reduce your food intake, but it can also help you make healthier choices over the long haul. It’s amazing that people who write down what they eat consume fewer calories than those who eat whatever they want. With modern technology and apps of all sorts, you can count your calories with ease. Research has also shown that counting calories can help reduce the risk of getting type 2 diabetes. Consider losing 5 to 10% of your body weight. According to diabetes prevention program, shedding this amount can help you avoid getting diabetes. If you want to slash your risk further, start doing moderate exercise. Whatever steps that you take this year toward your new year’s resolutions, refuse to be discouraged. Try and try again. Even if you have a bad day or gain an extra pound, don’t give up! Keep your goals manageable. Even if you lose one pound a month, that is progress! That’s 12 pounds a year. Considering that the average American gains a few pounds each year, any weight loss is remarkable. Don’t give up in February or March or even April; every day is a fresh slate. SO, GET MOVING! Make 2019 your best year yet to become healthier. You’ll be glad that you did and your health will benefit in the long run! Sheila Birnbaum’s professional career has been devoted to enhancing patient care. As the Director of the Patient Advocacy Program at Robert Wood Johnson University Hospital (RWJUH), Hamilton, NJ, she instituted numerous programs, many which received statewide recognition, including several prestigious rewards. 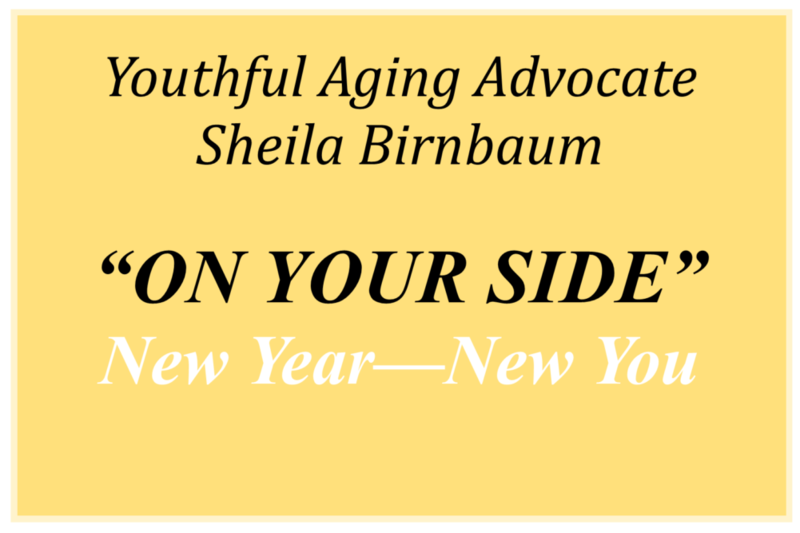 Youthful Aging Advocate – “On Your Side” How Do I Pick the Best Hospital?